Users from Dubai are facing difficulties accessing the Facebook website. The incident was reported on July 5, 2011 at 12:30 AM local time (20:30 PM GMT). 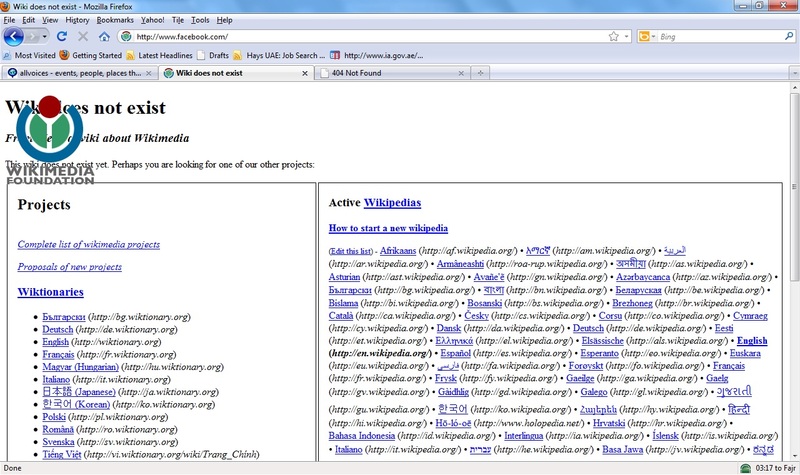 Instead, the Facebook url displays a Wikimedia page that says: Wiki does not exist. Trying alternative route such as going directly through the “log in url” gives worse answer i.e. 404-not found! The reason of such case is not clear. 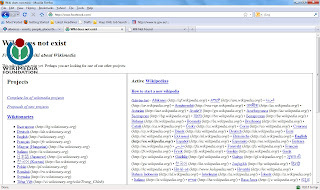 Common causes include webmaster collapse or a successful hacking attack has taken place. The coming hours will reveal more facts and information.